A few vehicles and locations from Bottle Rocket. 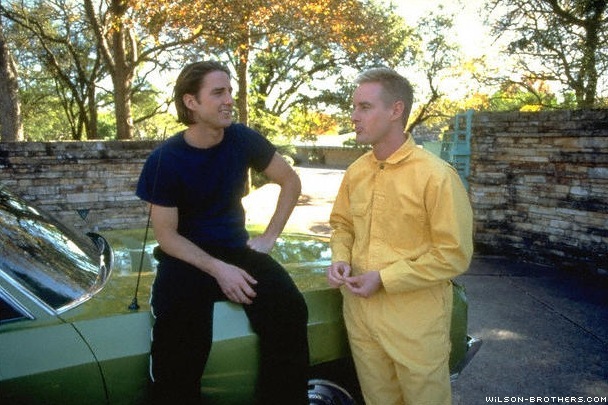 Wes Anderson’s first movie, Bottle Rocket, was released in 1996 and was the first glimpse into the world of Mr. Anderson. 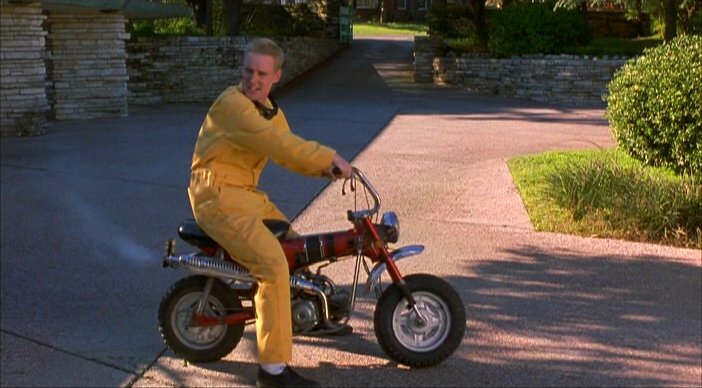 Just like his subsequent films, the automobile, a bicycle, or even a minibike or go-cart adds a new dimension to his perfectly-placed characters and scenes. 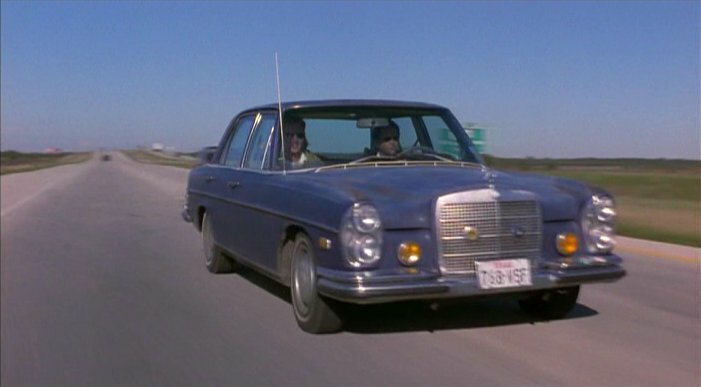 There are always some interesting vehicles in his movies. Yeah, he gets it. There are a few locations from the film still standing around Dallas and Hillsboro, Texas. “Whose house is this?” was our first quiz question and we had someone correctly answer that is was Bob Maplethorpe’s. I wished I would have taken that picture before I sent my Honda Trail 70 to live out on the farm. 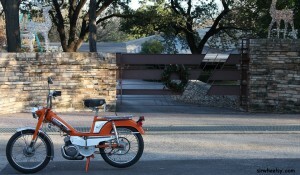 Dignan riding a Honda Trail 70 (CT70). Candy Ruby Red was an original color from 1969-1972. I believe the building used for Mr. Henry’s hideout has been demolished. If it’s still standing and someone can find it, please let me know. I’ll send them a copy of the film. 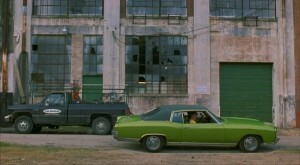 Is this Applejack's or Mr. Henry's Chevrolet Monte Carlo? The guys try to rob Hinckley Cold Storage at the end of the film. 2005 Vespa PX150 on location at Hinckley Cold Storage. This entry was posted in Uncategorized and tagged Bottle Rocket, Honda Trail 70, motobecane, Wes Anderson by GranT urismo. Bookmark the permalink. Not GW. Not too far from his pad though. Bob’s House from bottle Rocket? Bob’s house is located in north Dallas, off of NW Highway. 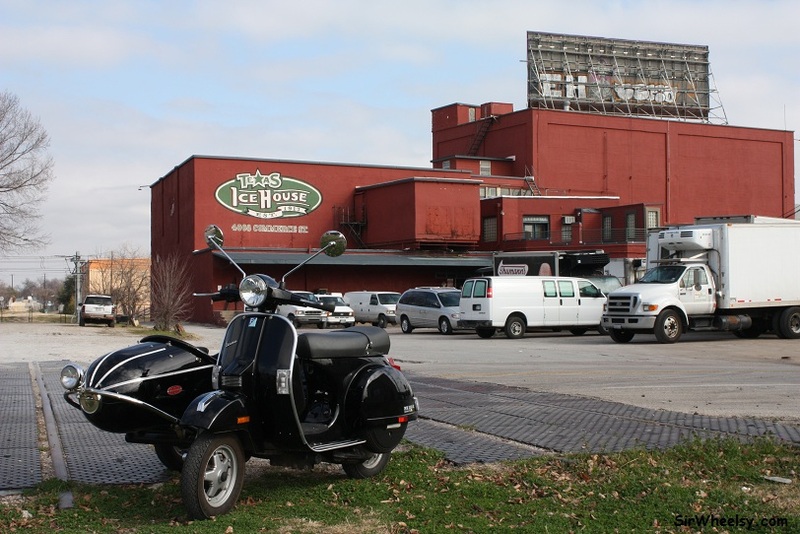 Incidentally, it was designed by Frank Lloyd Wright. Winner Winner!! Correct answer is Bob Maplethorpe. 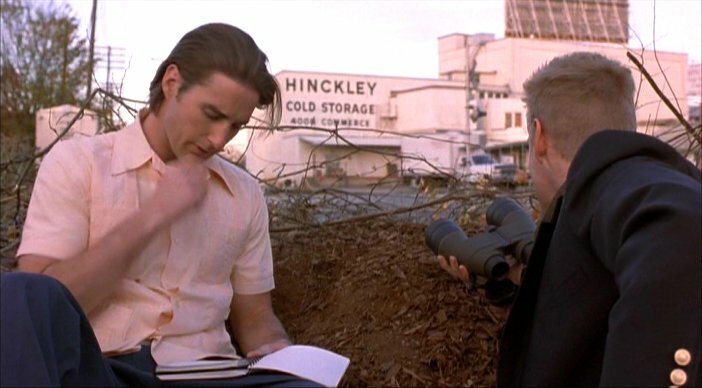 Jason, I’ll be sending you a copy of Bottle Rocket. 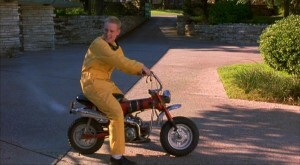 Love that movie! I’ve thought about trying to find some of those locations since they aren’t to far from me.